Each day 8,000 tubes of vaccine and 12,000 tubes of serum leave one of the greatest centers of preventive medicine in the worldâ€”the Pasteur Institute, in Paris. 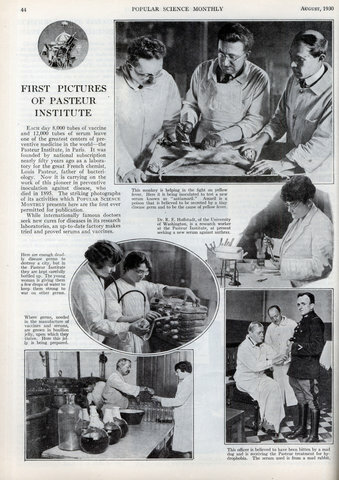 It was founded by national subscription nearly fifty years ago as a laboratory for the great French chemist, Louis Pasteur, father of bacteriology. Now it is carrying on the work of this pioneer in preventive inoculation against disease, who died in 1895. 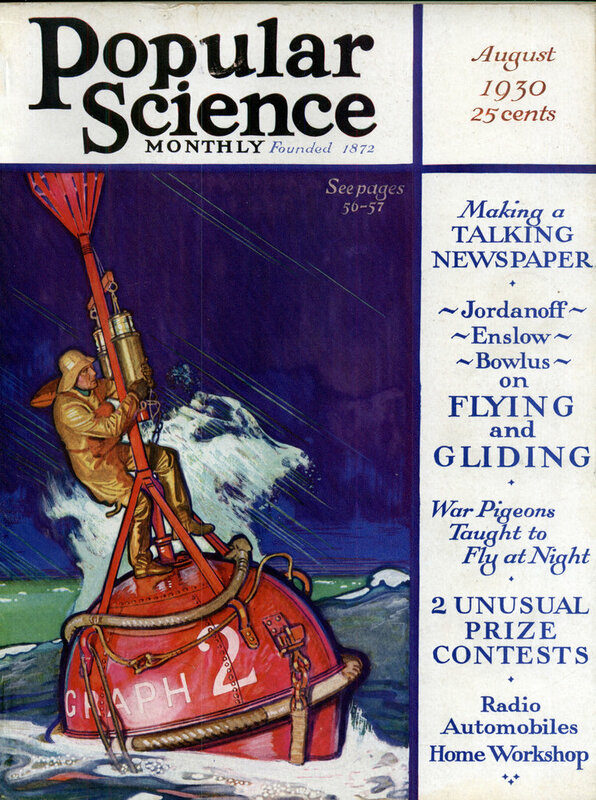 The striking photographs of its activities which Popular Science Monthly presents here are the first ever permitted for publication. While internationally famous doctors seek new cures for diseases in its research laboratories, an up-to-date factory makes tried and proved serums and vaccines.